The Comox Valley's over 40 parks and numerous beaches are ideal for swimming, fishing, boating, hiking and camping. Watch spawning salmon head upstream to the Puntledge Hatchery, amuse your children on some slides and swings or attend an interpretive program at Miracle Beach . Strathcona Park is Vancouver Island's largest, and British Columbia's oldest provincial park. Comprising more than 500,000 acres, this wilderness area is accessible from Mt. 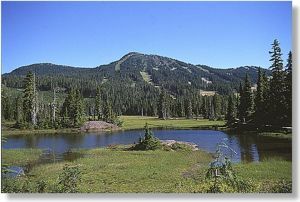 Washington and Forbidden Plateau and offers unsurpassed hiking, mountain biking, camping, canoeing and wildlife viewing. Visit the Strathcona Park Wilderness Institute website for more information. Seal Bay Regional Nature Park is a network of wooded trails on the Comox Peninsula. The paths are excellent for hiking and biking and some are wheelchair accessible. A steep path leads to the beach where visitors often see seals, sea lions, bald eagles and other wildlife. The Courtenay Riverway is a paved walkway that runs along the Courtenay River and estuary and is bordered on one side by the Courtenay Airpark. This is a prime location for viewing many species of birds and watching small planes take off and land. The Courtenay Riverway is a popular place for walkers, cyclists and roller-bladers and its level grade accommodates wheelchairs and infant strollers. If beachcombing is your pleasure, take a stroll along one of the many sandy beaches in the Comox Valley and keep your eyes peeled for sand dollars and shells. 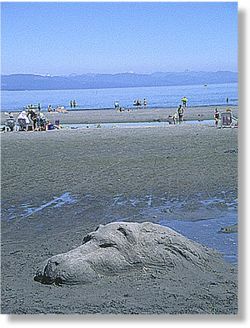 Goose Spit, Saratoga Beach and Miracle Beach are three favourites. Comox Valley, Vancouver Island, British Columbia, Canada B&B and Vacation Rental accommodations.